I did respond to your email. Please confirm if you received my reply. We still have a few places available. Please contact me at courses@snakebiteassist.co.za to secure your place. The Durban Expo will be held on the 19th & 20th December at Crawford College. We look forward to seeing you there!! tobiasf, the Durban one is not as big as the Jhb ones as it's still in it's infant stages. It will grow, but growth does take time. Not all boas grow into monster snakes and some may grow faster than others. Also remember that they never stop growing. She is fine at that size and that age. I wouldn't be too concerned. We will be hosting this course next weekend, 11 April. There are still a few spots available. To book, please send me an e-mail at courses@snakebiteassist.co.za. 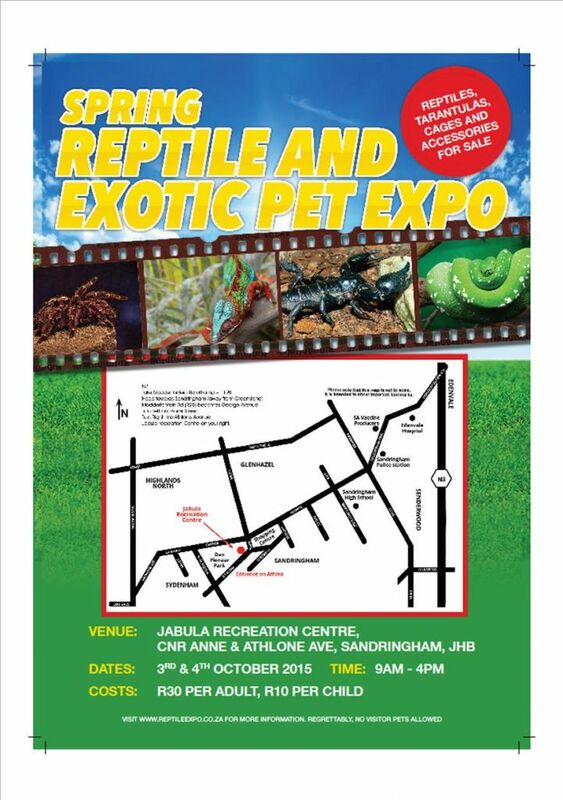 Topic: Snake Identification & Bite Treatment Course, Handling incl.